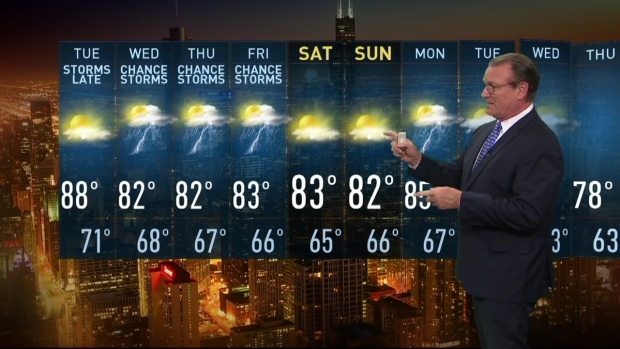 As the Chicago area faces another stretch of hot, humid summer weather, isolated storms are possible in some spots Friday afternoon and into the night. Strong isolated storms could affect up to 30 percent of the area, weather models show. Later Friday night, a few scattered showers and storms could turn severe far north, though they are expected to fade overnight. Friday high temperatures could reach the upper 80s to low 90s. 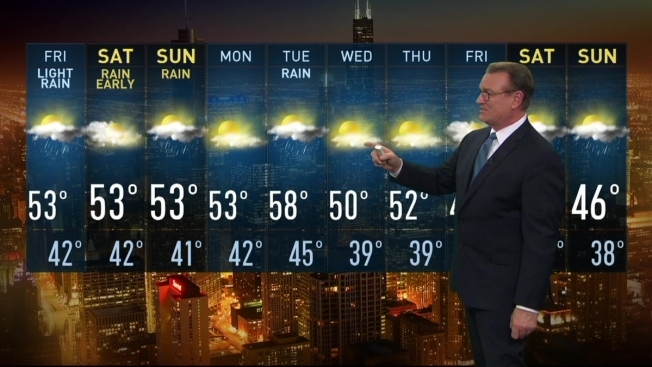 Chicagoans near Lake Michigan will see relief thanks to a light lake breeze developing and turning temps cooler along the lakefront. Anyone with Saturday plans will appreciate a dry, breezy and mild forecast with highs in the upper 70s to 80 degrees inland and cooler along the lakefront. Clouds increase Sunday with a few scattered showers or storms possible later in the afternoon and evening. Temperatures remain warm in the low 80s. Rain becomes possible at the start of the week as Monday turns partly to mostly cloudy and windy with showers and storms likely. Highs continue in the mid-80s through Wednesday with dry conditions expected.